I’ve been writing about all the wonderful New York City Chanukah dining feasts on www.allny.com, but there are others happening throughout the country that deserve mention as well. My favorite of all has to be this one at the Lompoc Brewery in Portland, Oregon. 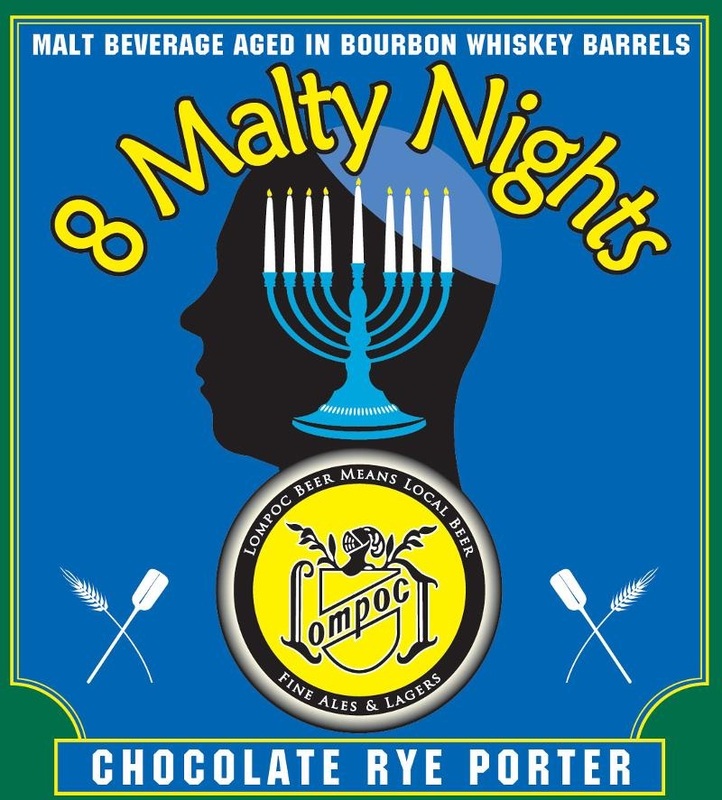 In honor of the Eight Nights of Chanukah, they are introducing 8 Malty Nights, specially brewed for the celebration. 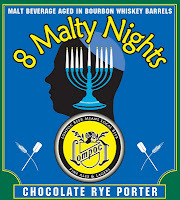 I would have never associated beer with Chanukah, but why not? Better still, it’s in partnership with Shmaltz Brewing Co. of New York (gotta love the name of that one), and they’re offering yet another brilliantly named brew Jewbelation 15 anniversary ale, celebrating 15 years of the brewery with 15 robust malts, 15 unique hops, and a striking 15% ABV. I think they should be offering a Jewbelation 8 as well for the holiday and for those of us with lower tolerance. On Saturday, the Green Dragon in Portland holds the "Chanukah vs. Christmas: The Royale of Beers." From the Shmaltz camp, the line-up is: Jewbelation 15; Genesis 15:15, a 13.4% barley wine brewed with pomegranates, figs, dates and grapes and aged for 9 months in Sazerac Rye barrels; Hop Manna Test Batch #2, Shmaltz's new unreleased IPA; Vertical Jewbelation, a barrel-aged blend of all seven Jewbelation recipes; and Geektoberfest, a blend of seven beers from Shmaltz, Ithaca and Captain Lawrence that served as the official beer for New York Craft Beer Week. Christmas contenders include 2010 Franc'ly Brewdolph, a Belgian red aged for one year in Cabernet Franc barrels; Cherry Christmas, a blend of four different unique beers; Old Tavern Rat, a dark, amber colored barley wine aged for nearly a year prior to its release; and Bourbon Barrel Aged C-sons Greetings, a deep copper colored beer with caramel and resinous hop notes that was aged in Heaven Hill Bourbon barrels.